One of the most valuable resources we have in Kenya is this Mutatu. For years we struggled with not having transport for us, the kids, materials and other general uses that would really have helped us. 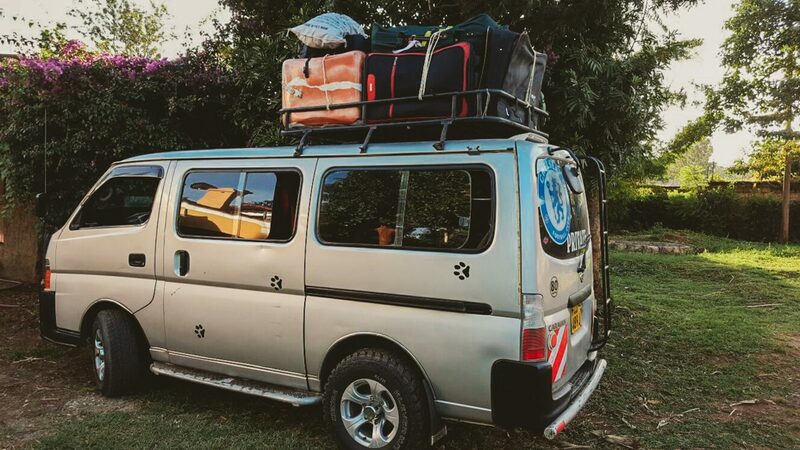 The Mutatu has saved us in many situations and recently we have started to use it to help us earn some money to pay for wages and other expenses we have in Kenya. Our Mutatu driver Karis is currently being employed by a local workman who puts up advertising signs around the county. Karis drives him and his gear from place to place and in doing so is earning money that we can then use towards our costs in Kenya. This is quite possibly the best business initiative we have set up to date and largely for the simple fact that it is actually working! We are only two months in but so far so good. We have full use of it at weekends and when we take trips over to Kenya we will be able to use it. It is just great to see it helping generate funds for the projects over there.